← Re-purposing Furniture – Ikea Hack! Earlier this afternoon, the creative urge hit. I decided to go with it and do some painting! Since rearranging our living room not too long ago, we were left with a large open space above our tv. I was thinking of filling it with a mirror but I decided artwork was the way to go to bring some colour into the space. 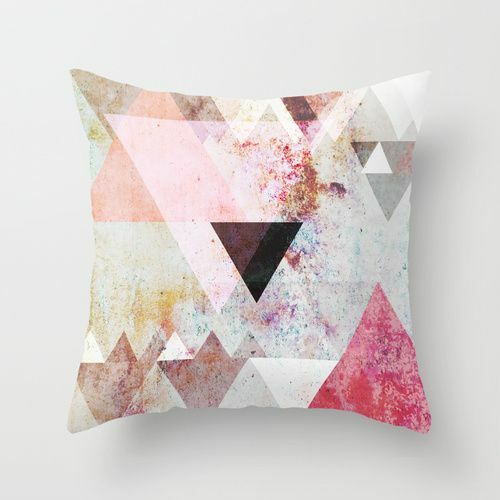 I wanted to diy to save some money and to also match the pillow covers we ended up getting from Society 6. While it’s difficult to see in this picture, there is a bit of yellow and blue in the covers that I wanted to bring into the space. 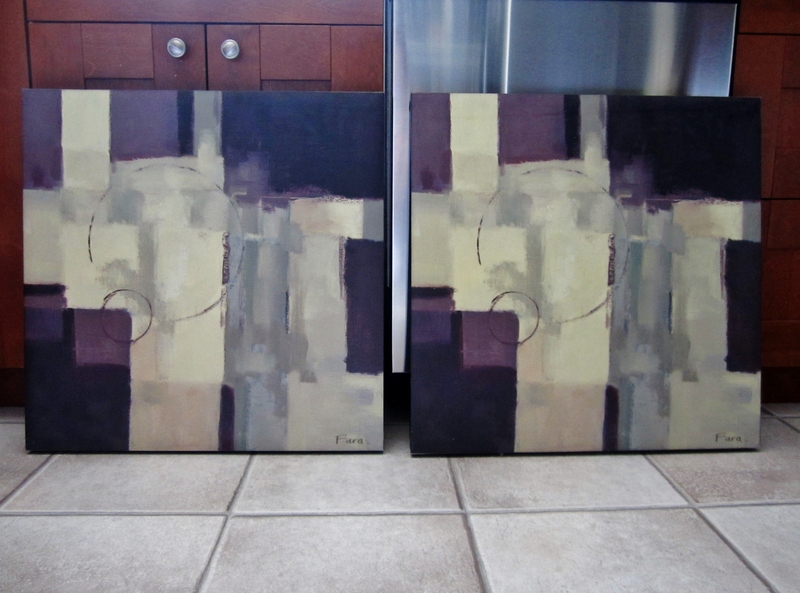 I started with a pair of canvases (or is it still canvas?) that used to be in our living room and then in our bathroom. Since updating the bathroom a few months ago, they needed a new home. I used the existing ‘pattern’ on the artwork as a guide for my colour placement. Then I let my creativity blossom and added some splatters. Here is what they look like now. And here’s a close up of all the different colours. I am so pumped to hang these in the new space!